Earlier this year, 2015 U.S. bronze medalist Josh Farris announced his intention to return to competitive skating. He reluctantly had announced his retirement from the sport last summer after suffering a series of concussions in the summer of 2015. However, the regaining of his health and confidence led Farris to return to training in the fall, with plans to compete in the upcoming season. In early May, Farris was among the cast of the inaugural Skate It Forward show, a benefit for the Ronald McDonald House in Columbus, Ohio. 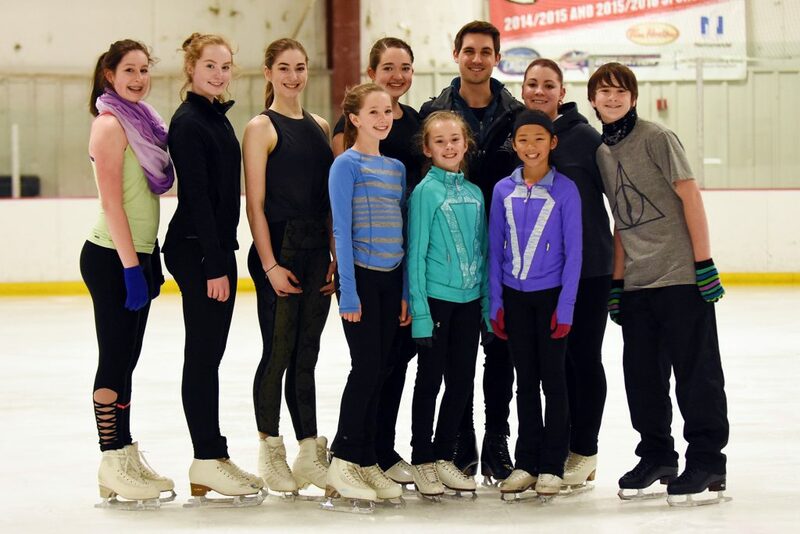 Figure Skaters Online caught up with Farris for a brief chat at the conclusion of the seminar that he conducted with local skaters following the Skate It Forward show. Figure Skaters Online (FSO): Josh, you just skated in Skate It Forward. How was the experience of performing again for a live audience for you? Josh Farris (JF): I think getting back on the horse is difficult, but it is also easy at the same time. It was pretty straightforward. I was gone two years, but it was only two years. It’s a great challenge for me though, not super hard to get my name back out there again. FSO: Your name was never gone Josh. You might have thought you were forgotten. FSO: Can you discuss how you’ve changed and how you’ve grown in your time off from competing? JF: Everyone matures over time. I think in one year I probably gained a good ten years. Coaching and working with other people, realizing and becoming less narcissistic and discovering there’s a whole world out there other than skating, humbled me a bit and knowing you have to define yourself or others will define you for you. That’s my motto now. FSO: There’s a different look about you and you seem comfortable with yourself. JF: With my concussion, I was isolated for six, seven, eight months and actually you have to be more introspective. I don’t think it was all bad and I learned quite a lot. I feel personally I’m in my 30’s more than I look on the outside and my time away made me that much more of a man. FSO: If you were a young skater starting out, what would you want to know now that you can look back? What did you wish you had known sooner? JF: Hmmm…whatever you do for a living is what you do for a living and not who you are. FSO: You mentioned you’ve decided to keep your 2014-15 short program to Ed Sheeran’s “Give Me Love” because it meant a lot to you. Do the words speak to you or the choreography? JF: My breakout year was the one before I got concussed (2014-15 season) and I’m confident with the program once I hear the music. I play the song on my guitar. It’s very familiar and it’s a great piece for a comeback season. FSO: Let’s step for a minute to injuries. Not only your concussions, you’ve had other injuries through the years. What do you tell someone who has encountered injuries? JF: Injuries are part of any sport. Most people recover from them. It depends on your will and desire. Your chutzpah. FSO: Suddenly you can speak Yiddish? Did you learn it while convalescing? FSO: Is there something you’d like to say about lessons you’ve learned? JF: Yes, to continue with your program. In the past I would get frustrated, skip spins and try to rest. Now I’ve added polish. FSO: I just saw you in a seminar glide from one end of a 200 foot rink to about 20 feet short from the other end, in one stroke. JF: I was just doing my thing. FSO: You still play guitar? FSO: Do you write music? JF: I try, badly (laughs). I would like to take more lessons and be more professional. It’s a hobby and an escape. A healthy escape. If my music remains just in my room, I’m okay with that. If I decide to take it public in front of people, so be it. What I love about music is, it’s whatever you want. FSO: Outside of skating, what else would you like to do this year? JF: I’d like to go to the Great Sand Dunes, (National Park in southern Colorado), though my trips wind up being on a whim. Perhaps some camping. Get to Texas a few more times and see family. FSO: What are your goals for this year? JF: Everyone wants me to say, ‘I want to make it to the Olympics.’ My goal right now is to train and just enjoy it. I want a Grand Prix but my goal is to skate. Check out Josh’s new website at joshfarris.figureskatersonline.com.